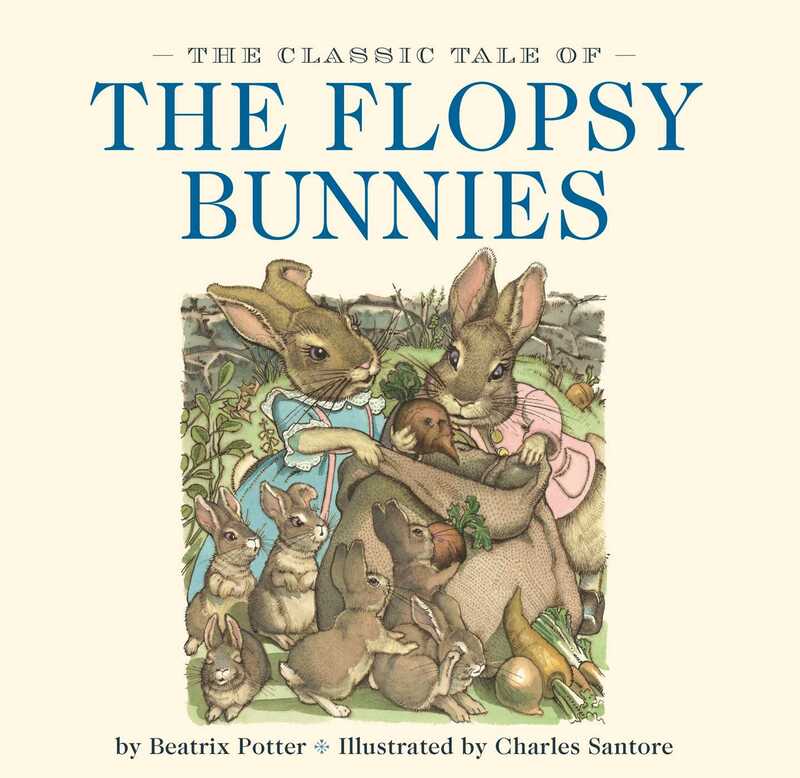 The beloved story of the adventurous Flopsy Bunnies is now available in a board book format featuring charming original artwork from New York Times bestselling illustrator Charles Santore. Join the adventurous Flopsy Bunnies as they explore Mr. McGregor’s garden and find a heap of trouble in this enchanting edition of Beatrix Potter’s classic tale. Charming illustrations with the finest details from New York Times bestselling artist Charles Santore capture the spirit of this classic tale, printed on sturdy board stock that will withstand years and generations of repeated reading and handling. This edition is a must-have for every child’s library.